Jurassic World Evolution was easily the most interesting thing announced in Xbox’s Gamescom coverage a couple month’s back. 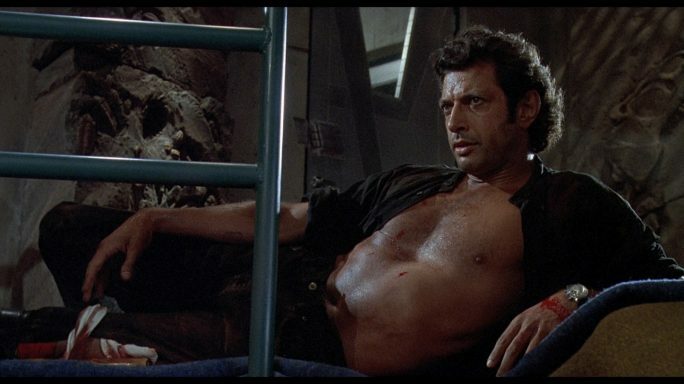 No one had any idea the game by Frontier Developments was in the works, but it got everyone excited because the idea of a modern dinosaur park creation simulator is one only the most Jeff Goldblum-ey of people wouldn’t be in favour of. But then they get to look like Jeff Goldblum, so they’re still in the lead. Now a new trailer for Jurassic World Evolution has dropped, giving us another glimpse at the game. While the trailer bills itself as comprising of “in-game” footage, it unfortunately cannot be considered a gameplay trailer as all it shows is a lot of cinematic shots of dinosaurs wandering around. That’s not necessarily a bad thing, dinosaurs are (were?) rad, but it would be nice to see what this awesome premise is going to be like to play. No concrete release date has been given for the game, but it should, uh, find a way onto Playstation 4, Xbox One and PC sometime mid 2018. Tom can’t see you if you don’t move, but can if you follow him on Twitter, @tomdheath , and don’t forget to follow @load_screen and like us on Facebook.